I just finished co-running Stoic Camp New York-2017, together with my friend Greg Lopez. We had 20 students and an amazing time up in Stony Point, on the West Bank of the Hudson River, north of New York. As part of the introductory session, we went through the basics of Stoic theory as reported by Diogenes Laertius in book VII of his Lives and Opinions of the Eminent Philosophers, which covers the early and middle Stoa (i.e., before Seneca, Musonius, Epictetus and Marcus). I’m going to propose the passages we used here, organized by subject matter, as a handy vademecum for the Stoic practitioner. Each section below begins with a selection of pertinent quotes from Diogenes, and ends with a mini summary and commentary of my own. I hope it’s going to be useful. 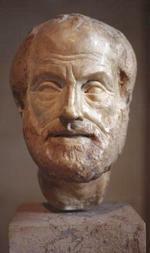 Philosophic doctrine, say the Stoics, falls into three parts: one physical, another ethical, and the third logical. They liken Philosophy to a fertile field: Logic being the encircling fence, Ethics the crop, Physics the soil or the trees. … No single part, some Stoics declare, is independent of any other part, but all blend together. Diogenes of Ptolemaïs, it is true, begins with Ethics; but Apollodorus puts Ethics second, while Panaetius and Posidonius begin with Physics, as stated by Phanias, the pupil of Posidonius, in the first book of his Lectures of Posidonius. This is the classic division of philosophy into three fields: logic (having to do with good reasoning), physics (understanding of the world), and ethics (how to live one’s life). The three are connected in that — as in the analogy of the garden — the logic and physics are necessary to protect (from bad reasoning) and nurture (through a sound understanding of the cosmos) the ethics. Notice that there was disagreement among the Stoics on the best way to set up the curriculum, one of a number of pieces of evidence that the philosophy was open to internal disagreement, not run like a cult (in the way of the Pythagoreans, for instance). A presentation (or mental impression) is an imprint on the soul: the name having been appropriately borrowed from the imprint made by the seal upon the wax. Freedom from precipitancy is a knowledge when to give or withhold the mind’s assent to impressions. By wariness they mean a strong presumption against what at the moment seems probable, so as not to be taken in by it. Without the study of dialectic, they say, the wise man cannot guard himself in argument so as never to fall; for it enables him to distinguish between truth and falsehood, and to discriminate what is merely plausible and what is ambiguously expressed, and without it he cannot methodically put questions and give answers. Overhastiness in assertion affects the actual course of events, so that, unless we have our perceptions well trained, we are liable to fall into unseemly conduct and heedlessness. For presentation comes first; then thought, which is capable of expressing itself, puts into the form of a proposition that which the subject receives from a presentation. Again, some of our impressions are scientific, others unscientific: at all events a statue is viewed in a totally different way by the trained eye of a sculptor and by an ordinary man. “Impressions” are a combination of sensorial input and automatic judgment, as, for instance, when I suddenly feel fear because I have heard an unfamiliar sound in the house at night. Impressions ought to be examined in the light of reason, so that we can decide whether to give assent to them or not. This requires a certain degree of cognitive distancing (avoiding overhastiness), and also the ability to engage in sound reasoning (logic). This is the basis of Epictetus’ discipline of assent, which Pierre Hadot connects with the topos of logic and the virtue of prudence (practical wisdom). Notice that practice makes for better (more “scientific”) judgments of impressions. An animal’s first impulse, say the Stoics, is to self preservation, because nature from the outset endears it to itself, as Chrysippus affirms in the first book of his work On Ends. And nature, they say, made no difference originally between plants and animals, for she regulates the life of plants too, in their case without impulse and sensation, just as also certain processes go on of a vegetative kind in us. But when in the case of animals impulse has been superadded, whereby they are enabled to go in quest of their proper aliment, for them, say the Stoics, Nature’s rule is to follow the direction of impulse. But when reason by way of a more perfect leadership has been bestowed on the beings we call rational, for them life according to reason rightly becomes the natural life. For reason supervenes to shape impulse scientifically. This is why Zeno was the first (in his treatise On the Nature of Man) to designate as the end “life in agreement with nature” (or living agreeably to nature), which is the same as a virtuous life. … Again, living virtuously is equivalent to living in accordance with experience of the actual course of nature, as Chrysippus says in the first book of his De finibus; for our individual natures are parts of the nature of the whole universe. And this is why the end may be defined as life in accordance with nature, or, in other words, in accordance with our own human nature as well as that of the universe. … And this very thing constitutes the virtue of the happy man and the smooth current of life. By the nature with which our life ought to be in accord, Chrysippus understands both universal nature and more particularly the nature of man, whereas Cleanthes takes the nature of the universe alone as that which should be followed, without adding the nature of the individual. So the Stoics had what we would today call an evolutionary theory of virtue (just like their “cradle argument” was a theory of human developmental psychology, connected to the concept of oikeiosis): plant life is regulated without impulses and sensation, which however do play a role in animal and human life. But human beings have reason as well. So to apply reason to the question of how to live is the same as living according to nature. If you do that, according to the Stoics, you figure out that this specifically means living a life of virtue (though Diogenes doesn’t say this here, that’s because virtue is the only thing that is always useful to improve the human lot, an argument that goes back to Socrates in the Euthydemus). Notice two more things: first, the reference to a smooth flow of life if we live virtuously; second, again, vibrant disagreement among the Stoics on specific issues of doctrine, in this context whether we should think in terms of human nature or the nature of the cosmos at large. Virtue, in the first place, is in one sense the perfection of anything in general, say of a statue; again, it may be non-intellectual, like health, or intellectual, like prudence. That it, virtue, can be taught is laid down by Chrysippus in the first book of his work On the End, by Cleanthes, by Posidonius in his Protreptica, and by Hecato; that it can be taught is clear from the case of bad men becoming good. Panaetius, however, divides virtue into two kinds, theoretical and practical; others make a threefold division of it into logical, physical, and ethical; while by the school of Posidonius four types are recognized, and more than four by Cleanthes, Chrysippus, Antipater, and their followers. Apollophanes for his part counts but one, namely, practical wisdom. Amongst the virtues some are primary, some are subordinate to these. The following are the primary: wisdom, courage, justice, temperance. Particular virtues are magnanimity, continence, endurance, presence of mind, good counsel. And wisdom they define as the knowledge of things good and evil and of what is neither good nor evil; courage as knowledge of what we ought to choose, what we ought to beware of, and what is indifferent. Similarly, of vices some are primary, others subordinate: e.g. folly, cowardice, injustice, profligacy are accounted primary; but incontinence, stupidity, ill-advisedness subordinate. Further, they hold that the vices are forms of ignorance of those things whereof the corresponding virtues are the knowledge. Virtue itself and whatever partakes of virtue is called good in these three senses — viz. as being (1) the source from which benefit results; or (2) that in respect of which benefit results, e.g.the virtuous act; or (3) that by the agency of which benefit results, e.g. the good man who partakes in virtue. To begin with, the word “virtue” (arete, in Greek) applies to any kind of human excellence, of which the moral (intellectual) virtues are a subset. Diogenes lists the four cardinal Stoic virtues, but makes clear that there are several sub-virtuous, so to speak. The full list is detailed in a table on p. 28 of this paper by Matthew Sharpe on Stoic virtue ethics. Well worth the reading. Diogenes then says that to each virtue corresponds a given vice, and — most importantly — that virtue is a type of knowledge, and vice a type of ignorance (best understood as unwisdom). Notice, once more, evidence of debate among the Stoics on all these subject matters. Further, they say that that is not good of which both good and bad use can be made; but of wealth and health both good and bad use can be made; therefore wealth and health are not goods. The term “indifferent” … denotes the things which do not contribute either to happiness or to misery, as wealth, fame, health, strength, and the like; for it is possible to be happy without having these, although, if they are used in a certain way, such use of them tends to happiness or misery. Of things indifferent, as they express it, some are “preferred,” others “rejected.” Such as have value, they say, are “preferred,” while such as have negative, instead of positive, value are “rejected.” Value they define as, first, any contribution to harmonious living, such as attaches to every good; secondly, some faculty or use which indirectly contributes to the life according to nature: which is as much as to say “any assistance brought by wealth or health towards living a natural life”; thirdly, value is the full equivalent of an appraiser, as fixed by an expert acquainted with the facts — as when it is said that wheat exchanges for so much barley with a mule thrown in. Again, of things preferred some are preferred for their own sake, some for the sake of something else, and others again both for their own sake and for the sake of something else. … Things are preferred for their own sake because they accord with nature; not for their own sake, but for the sake of something else, because they secure not a few utilities. Passion, or emotion, is defined by Zeno as an irrational and unnatural movement in the soul, or again as impulse in excess. The main, or most universal, emotions, according to Hecato in his treatise On the Passions, book ii., and Zeno in his treatise with the same title, constitute four great classes, grief, fear, desire or craving, pleasure. They hold the emotions to be judgements, as is stated by Chrysippus in his treatise On the Passions: avarice being a supposition that money is a good, while the case is similar with drunkenness and profligacy and all the other emotions. Pity is grief felt at undeserved suffering; envy, grief at others’ prosperity; jealousy, grief at the possession by another of that which one desires for oneself; rivalry, pain at the possession by another of what one has oneself. Fear is an expectation of evil. Desire or craving is irrational appetency, and under it are ranged the following states: want, hatred, contentiousness, anger, love [meaning irrational, obsessive passion], wrath, resentment. … Hatred is a growing and lasting desire or craving that it should go ill with somebody. Wrath is anger which has long rankled and has become malicious, waiting for its opportunity. … Resentment is anger in an early stage. Pleasure is an irrational elation at the accruing of what seems to be choiceworthy. … Malevolent joy is pleasure at another’s ills. And as there are said to be certain infirmities in the body, as for instance gout and arthritic disorders, so too there is in the soul love of fame, love of pleasure, and the like. … And as in the body there are tendencies to certain maladies such as colds and diarrhoea, so it is with the soul, there are tendencies like enviousness, pitifulness, quarrelsomeness, and the like. Also they say that there are three emotional states which are good, namely, joy, caution, and wishing. Joy, the counterpart of pleasure, is rational elation; caution, the counterpart of fear, rational avoidance. … And they make wishing the counterpart of desire (or craving), inasmuch as it is rational appetency. … Thus under wishing they bring well-wishing or benevolence, friendliness, respect, affection; under caution, reverence and modesty; under joy, delight, mirth, cheerfulness. Now they say that the wise man is passionless, because he is not prone to fall into such infirmity [i.e., unhealthy passions]. The goal of Stoicism here is to produce emotionally healthy individuals. Hard to object to it, no? They will take wine, but not get drunk. This entry was posted in Ancient Stoicism, Diogenes Laertius, Psychology on September 4, 2017 by Massimo. 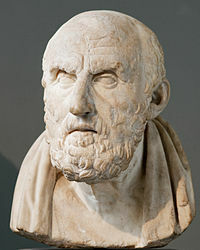 The last major Stoic figure to be covered in Diogenes Laertius’ Lives of the Eminent Philosophers is that of Chrysippus, the third head of the Stoa (after Zeno and Cleanthes). Chrysippus too was an example of a philosopher who began as an athlete, in his case a long-distance runner (Cleanthes was a pugilist, you may recall). 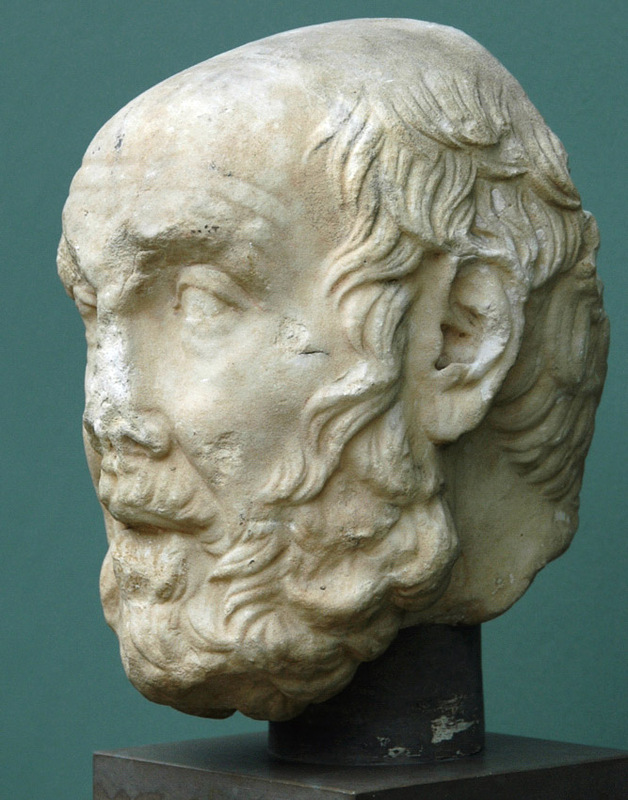 Like Cleanthes, as well as Zeno, Chrysippus was of poor financial means when he began his practice of philosophy — in his case because his father’s inheritance had been confiscated by the king (we are not told for what reasons). This entry was posted in Ancient Stoicism, Diogenes Laertius on September 1, 2015 by Massimo. Continuing my reading of Diogenes Laertius’ 7th book of Lives of the Eminent Philosophers, devoted to the Stoics, we arrive at Cleanthes, the second head of the Stoa after Zeno. Cleanthes was a pugilist (athletic philosophers must have been a thing, Plato was a wrestler! ), and arrived in Athens quite poor. As a result, he worked at night, drawing water in the gardens, in order to be able to afford philosophy during the day. This entry was posted in Ancient Stoicism, Diogenes Laertius on August 27, 2015 by Massimo. 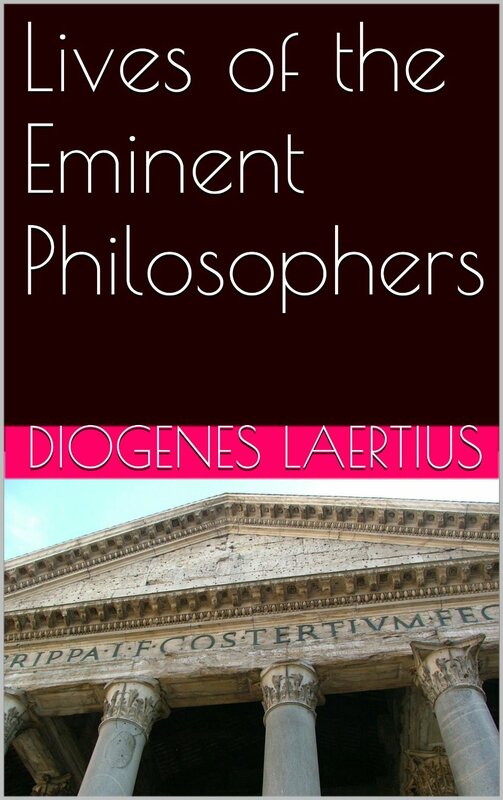 Still in preparation for Stoic Camp New York 2015, I’ve been reading parts of Diogenes Laertius’ Lives of the Eminent Philosophers, a classic whether or not your interests in ancient philosophy lie specifically with the Stoics or not. I focused, of course, on book VII: The Stoics. There Diogenes gives an account of the lives of Zeno (the founder of Stoicism), Ariston, Herillus, Dionysius, Cleanthes (the second head of the Stoa), Sphaerus, and Chrysippus (the third head of the Stoa, the most famous and influential of the early Stoics after Zeno himself). I will provide only a few notes on some of the major figures, as they struck my curiosity, but the whole thing is definitely worth a read. This entry was posted in Ancient Stoicism, Diogenes Laertius on August 25, 2015 by Massimo.